The Windows projects are signed by a self-signed codesigning certificate before publication to certify that the binaries are compiled by me. Users can verify if the software has been changed since compiling and possibily tampered. 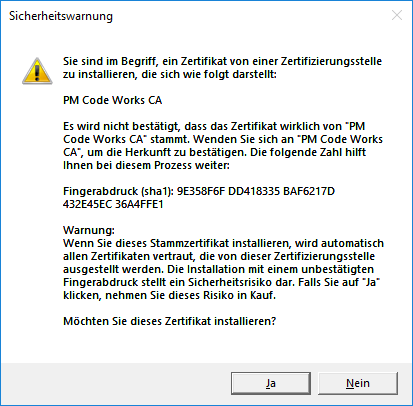 The installation of the PM Code Works codesigning certificate is really easy. All my programs have a procedure "Install certificate" that can be found inside menu "Help". 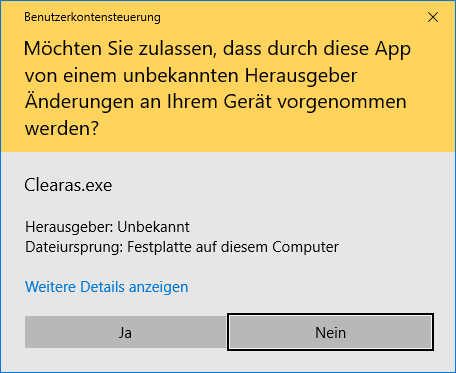 By clicking on "Yes" the installation of the certificate is confirmed. 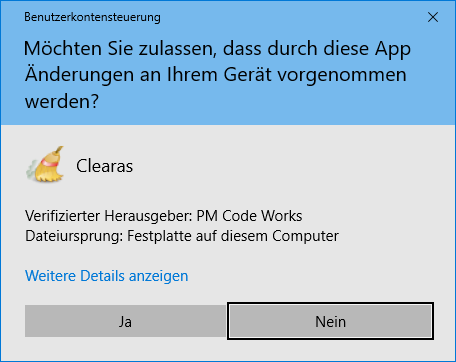 Now Windows recognizes my signature. Important: If message "unknown publisher" appears when launching one of my programs even though the certificate has been installed it is not recommended to confirm this message. The software could have been compromised! It is recommended to visit the project website and download the program again. If you have problems or questions about this topic, just contact me.